Lately, I have been making a bunch of snacks because my friends and I have been having Game of Thrones nights, where we will get together and watch like 5 episodes at a time, and cook food. My friend Bob gets credit for this recipe—it was really yummy and super easy to make. 1. 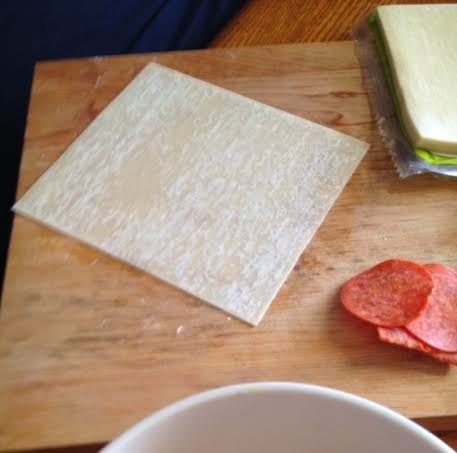 Lay out the wonton wrapper on a flat surface in a diamond shape. 2. 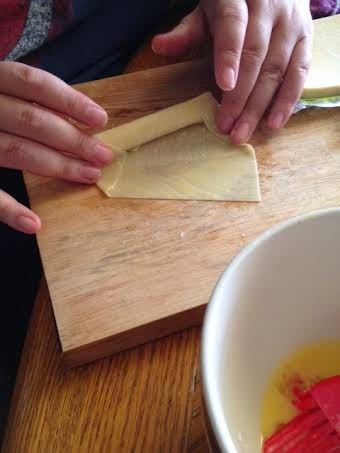 Using a pastry brush, line the two sides farthest from you with egg wash, as in the picture. 3. 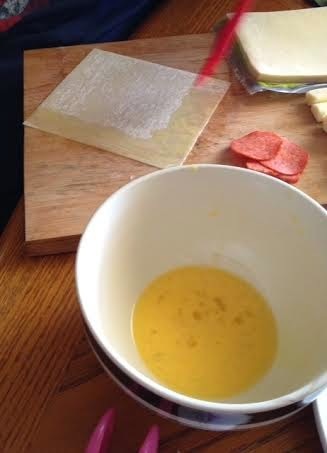 If you are going to add pepperoni or jalapeños, add them first in the middle of the wonton wrapper. 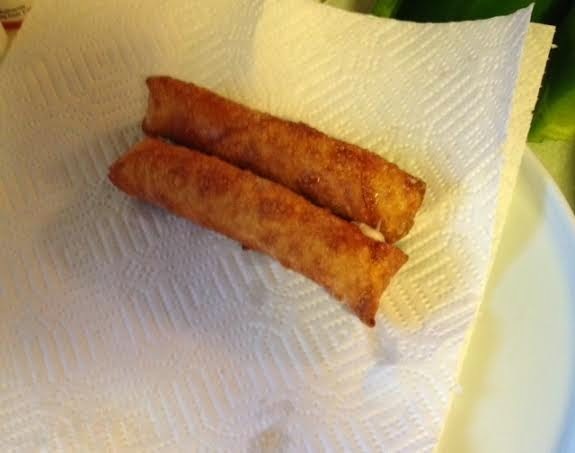 Place the mozzarella stick towards the lower corner closest to you. 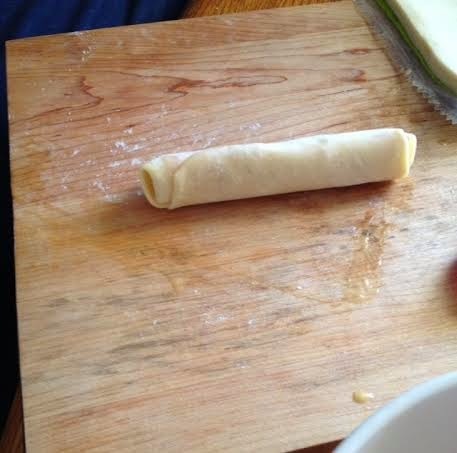 It shouldn’t be so low that there is not enough wonton to cover the sides of it. 4. 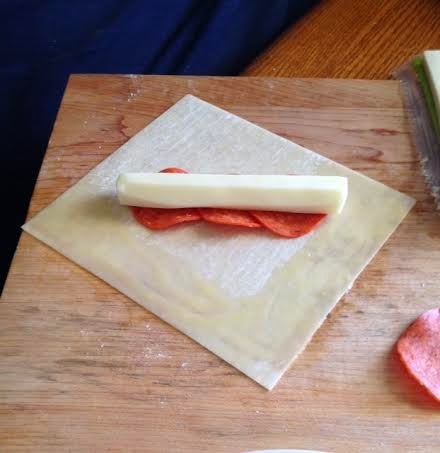 Begin to roll the cheese stick into the wrapper away from you, folding in the edges as you roll, as in the picture. Repeat for as many sticks as you desire to make. 5. 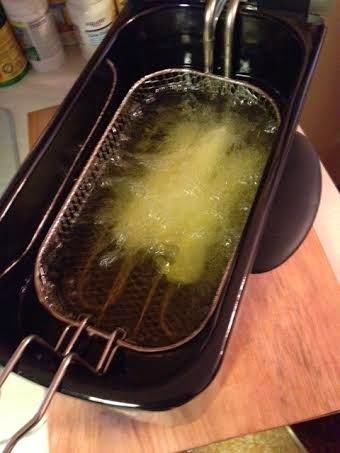 Place the mozzarella sticks into the deep fryer, about 2 or 3 at one time. Keep a close eye on them—as soon as they are golden brown, remove them from the deep fryer. If you leave them in for too short a time, the cheese will not be gooey enough. If you leave them in for too long, the cheese will be too gooey, and will leak out of the wonton into the deep fryer grease. 6. Allow 10 minutes to cool. Serve with marinara sauce.